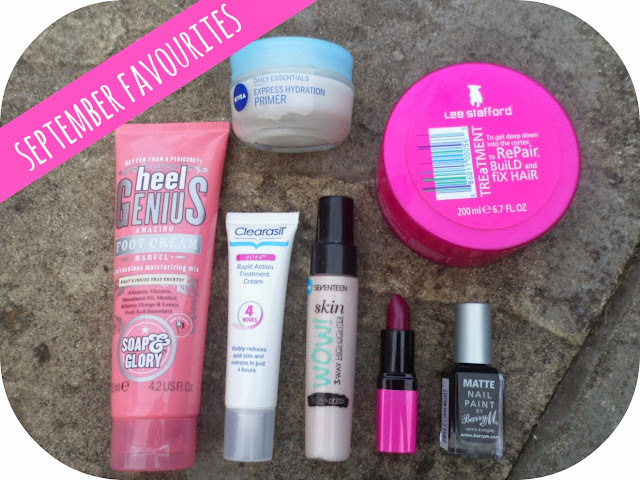 October is here so it would only be polite to bring you my September favourites! Yes it's those monthly products and things that I have been loving and obsessing over for the last 4 weeks! September was a really fun month, my family just got a puppy, I moved out, I went to the Bestival, I met up with my friends from Florida and went to London to explore... it has been a gooden! There's beauty, there's skincare, there's haircare and of course a little something extra.... it wouldn't be a Kirstie favourites post without a random thing thrown in there! We put so much pressure and strain on our feet day-in, day-out that I think it's so important to look after them and keep them looking pretty (as hard as that is for feet...ewww). There's nothing worse than toenails with no polish on, hard skin, dry skin..... a bit disgusting to talk abut but everyone gets it, especially after a summer of wearing sandals and flip flops 24/7. This stuff is amazing for keeping my feet soft and thoroughly moisturised. I love to give my feet a good pampering once a week or so, a long soak, a quick use of my 'Utterly fantastic foot buffer from Soap & Glory' and then smother this on before putting on some light cotton socks and taking myself off to bed to let it soak in overnight! The smell is so lovely and refreshing and totally wakes your feet up! In the morning my feet feel smooth, soft and smooth as a baby's bottom - fabulous! I've always been so lucky with my skin, spots have always been a rare thing for me and I have always been so grateful for that. But over the last few weeks I have been getting a few friends on my face... and they haven't been the mot subtle of "friends", in fact, some have them have needed their on postcode! 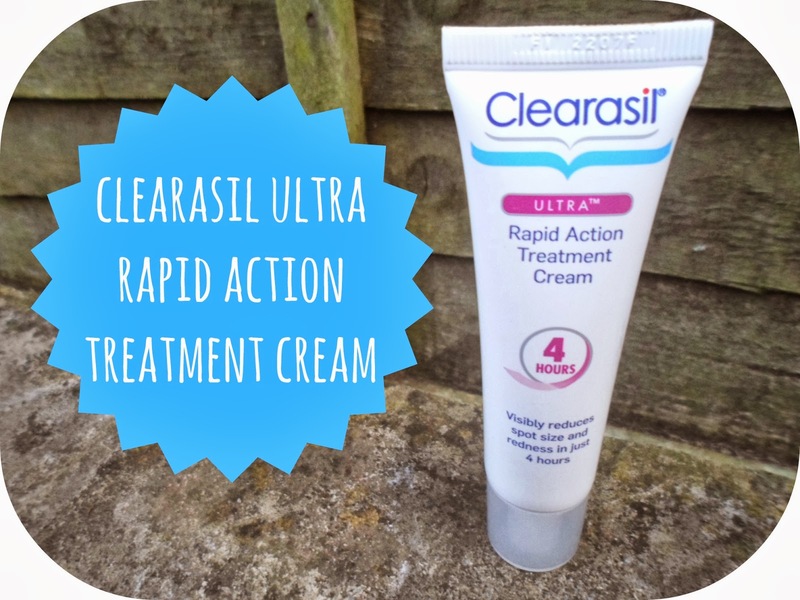 So as always I've rushed out and bought my savior - the rapid action treatment cream from Clearasil. This always works so well on my skin and I mentioned it before in The Skincare Tag I did back in July! I just pop this on the certain area a couple of times a day and it really helps with the redness and swelling of the spot which luckily means they don't lsat long at all! I highly recommend this stuff if you want a quick and easy way to reduce your spot size and redness! If you read my blog regularly of have been here recently you would have seen the post I did on this product. I have used this literally everyday since purchasing it. 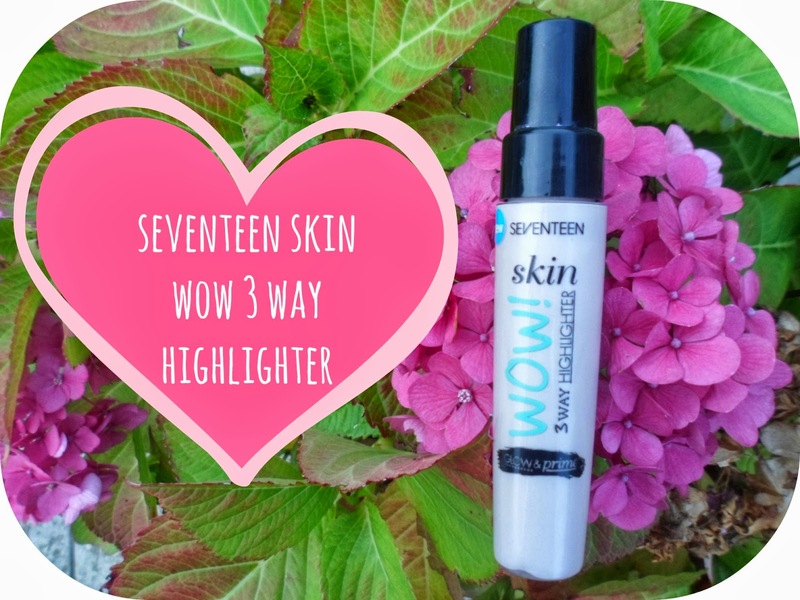 It is a gorgeous highlighter and a fantastic dupe for Benefit's High Beam at just a fraction of the price. As a base, mixed with your foundation of just used on certain parts of your face to complete the look this stuff, in my opinion, is amazing - here is my post from a couple of weeks ago where we you can read all about it and check out a swatch! Again another product I have mentioned before. I had this in my "Beauty Buys Of The Week" in September and since then I have worn it a few times and have just been obsessed. It is shade 156 from Barry M and is one of their 'ultra moisturising lip paints'. Because it is now Autumn I have pushed myself to get out of my baby and bright pink bubble and venture out into using darker shades! This is a dark purple colour and I'm so glad I went out of my comfort zone and tried it as I really love it and definitely think I will be wearing it alot more over the next few months. Nail polishes are something I buy every single month without fail, I don't know why but I'm always adding to my collection. So when I saw that my local Boots had released the Matte Barry M polishes I had to pick up this one. I love black nail polish especially in Autumn and Winter and especially on my toes (looks great with peep toes). 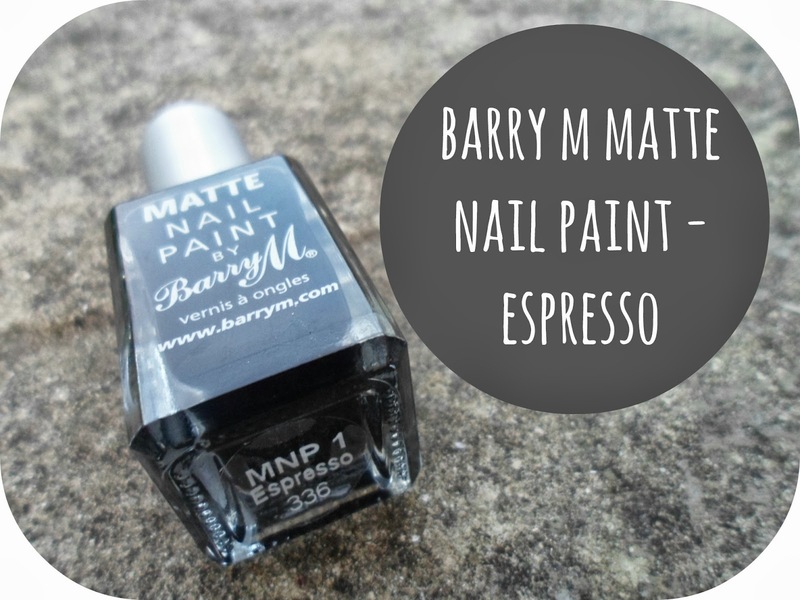 This is called Espresso and is just a plain matte black, something everyone needs in their collection I think and here else on the drug-store market can you get a good qulaity matte black polish? I can't wait to pick up the rest of the Matte collection but I have gel nails on the moment so it is little unnecessary buying all of them for now. Even if you have been living under a rock you know that I love Lee Stafford. I normally use the Hair Growth treatment once a week but over the last month I have been chopping and changing through all the fabulous products I got in my Huge Lee Stafford Haul. I have been using this Breaking Hair Treatment a couple of times a week along with the Breaking Hair shampoo and conditioner and have loved the effect it has had on my hair. where I've started using clip-in extensions again this month I've wanted to make sure my hair is staying in a good condition. This product leaves my hair soft, strong and shiny and not to mention the amazing smell, my hair feels so much better from using this over the last 4/5 weeks on and off, another product from Mr. Stafford that is working wonders! I always tell myself to moisturise more but sometimes in the morning and before I go to bed I'm in to much of a rush/or too lazy to do it. Queue Nivea's Express Hydration Primer, perfect for the morning and before I do my make-up. 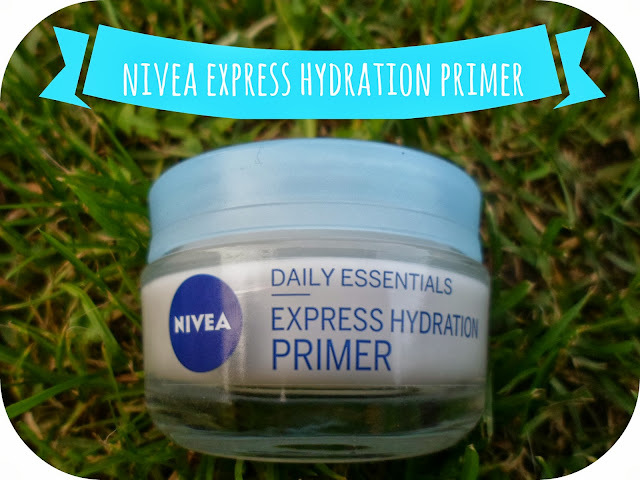 Not only is this stuff as hydrating as Nivea's moisturisers it really is a fantastic primer. It looks thick and creamy in the jar but you only need a tiny bit to cover your face and it turns straight into a clear primer perfect for make-up application. I have used this nearly every day in September, it is fantastic. Not greasy, not thick and helps my make-up stay on so so well. Another great product from Nivea.... they always seem to make their way into my monthly favourites . Just a last quick thing - Ariana Grande's debut album. I have had this album on repeat since the day I got it on September 3rd. Yes, she has been in my favorites before back in July but I am still loving her and now I have a whole album to rave about! It is called 'Yours truly' and has 13 tracks, including her singles The Way & Baby I. She is amazing, the best voice in the charts at the moment without a shadow of a doubt. There is a song for every mood on this album and I dare you not to like it! My favourite songs are Honeymoon Avenue and Piano! Go Ariana..... hurry up and come to the UK on tour please! 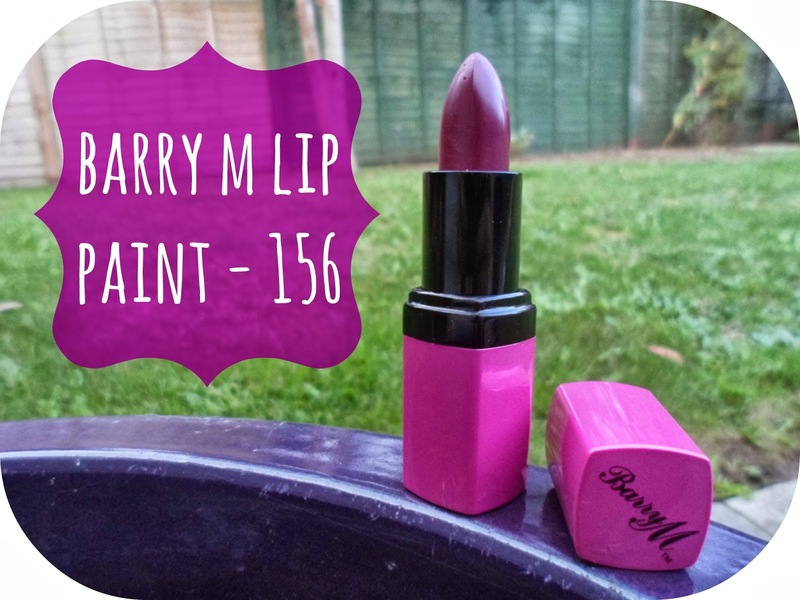 The Barry M lip paint looks lovely, will have to try that for Autumn/Winter! I'm glad you like the Heel Genius, I may have to try it now, I'm just afraid I won't use it! wow it's so great post! thanks for sharing! Such a wonderful bunch of products! I absolutely love Soap and Glory but I have been so hesitant to use that product (I think I neglect my feet because they seem so far away from the rest of my body). Must give it a go!